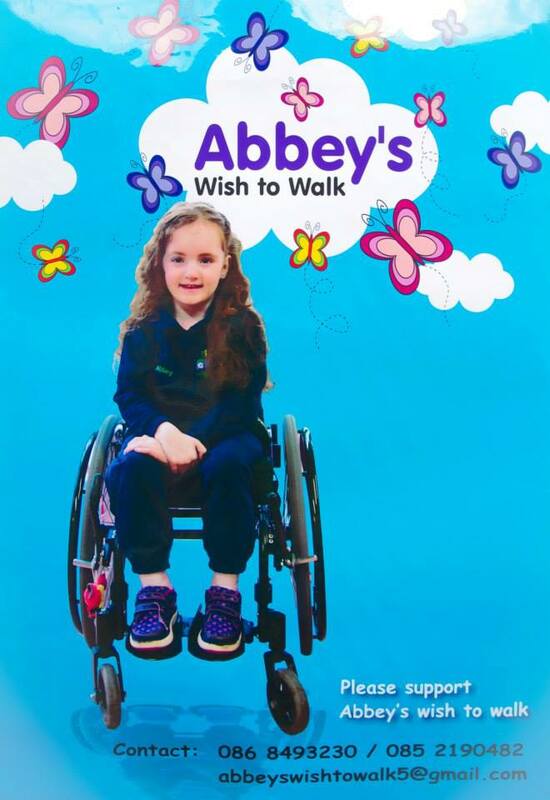 999 Abbey’s Wish to Walk Boxing Event is on tomorrow night, Friday 20th September at 8.00pm in the Glen Boxing Club in Cork. The event is in aid of a 5 year old girl called Abbey who is confined to a wheelchair but her wish is to walk. Abbey needs to raise €100,000 for an operation in America and for pre- and post-operation physiotherapy. Sun Cabs are sponsoring one of the amateur boxers taking part. The boxers are ordinary people including those from the emergency services who have been trained over 6 weeks by fully qualified boxing coaches, including Irish Olympian Michael Roche. These will include firefighters, Gardai, army, ambulance and prison service personnel, etc. A Katie Taylor top signed by the Irish Olympic Boxing Team will be raffled on the night.